Here's my card for this week's Muse challenge, where our Guest Muse is Beverly Brown, of Uniko Studios. I focused on the colour scheme by using some striped dp and a black inlaid sentiment. At that point, I felt it was lacking some of the white of Beverly's Muse so I added a little white MFT butterfly. I hope you'll get a chance to play along with us - the deadline is on Monday at 8: 00 am. Even if you can't link up a card, you can still vote for your top 3 favourites from Monday at 8 until Tuesday at 8. Results will be posted at noon Tuesday. The butterfly does the trick! Perfect way to add some white without compromising the impact of the rainbow colors! Really, REALLY love that 'hello' die! This card is AMAZING Ardyth!!! Stunning...I love the contrast of the black sentiment with the white butterfly Ardyth. Such a great card. Love the colors and the hello. For a second I thought it was an inlay but realized that its just die cut with black behind. Awesome. Love your card so much!! Beautiful!! Oh this is so darned yummy! Ardyth you really pulled a spectacular card together. I love all your cards, but this one especially. You just know how to inspire me!LOVE the stripes in bright summer colors! Wow! I am totally in love with this card! 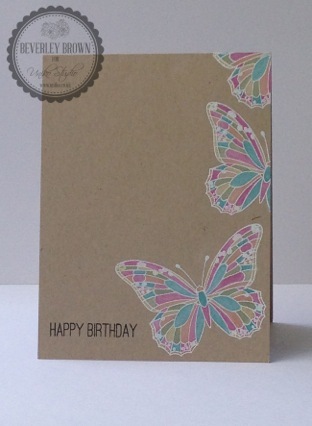 The inlaid die cuts and the striped paper are fabulous! This is about as amazing as it gets! I love your fabulous and fun design. The inlaid die and butterfly are gorgeous. As usual, I find myself wanting to vote for you. Smiling! Love your work! Fantastic neutrals with a splash of bright stripes! Love this card. 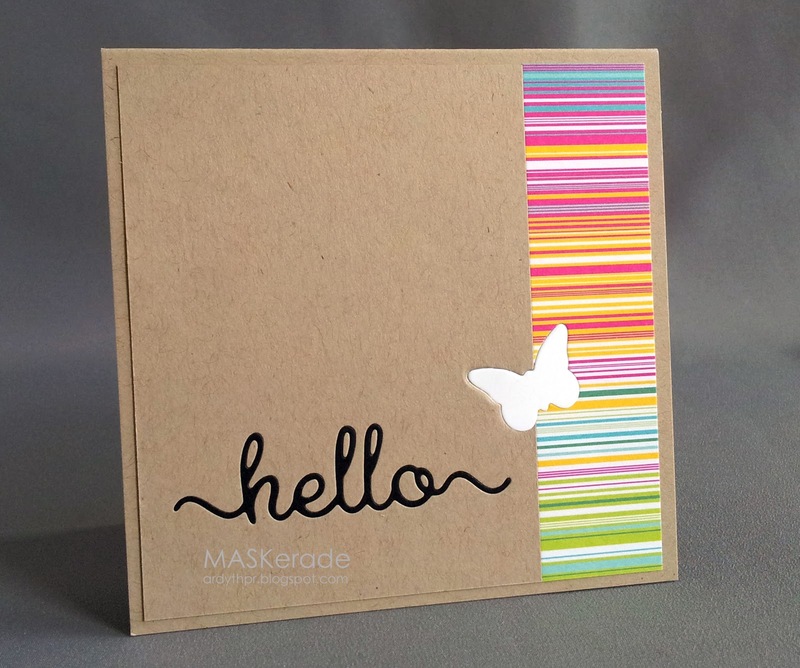 That bright paper looks great with the kraft, and I'm loving the inlaid dies. Such a beautiful card! Where is that "hello" die from?